In companies both small and large, islands of information might form independently. 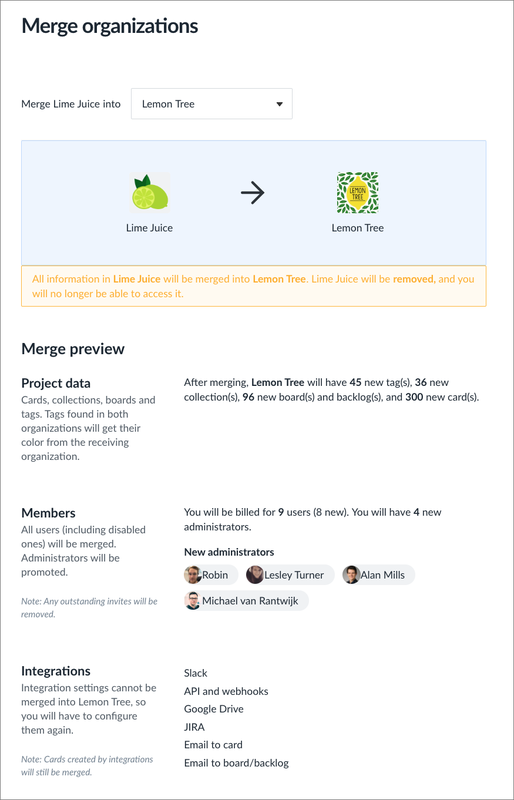 Luckily, Favro allows you to merge organizations so you get everything under the same roof. 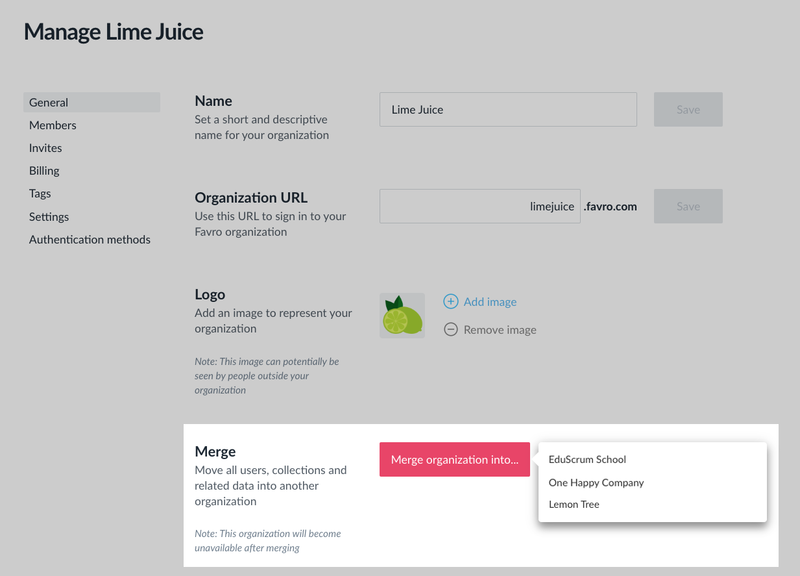 In the General tab of the administrator view, you can select to merge the current organization into another organization you are also the administrator of. After selecting an organization to merge into, you will be greeted by the window above. 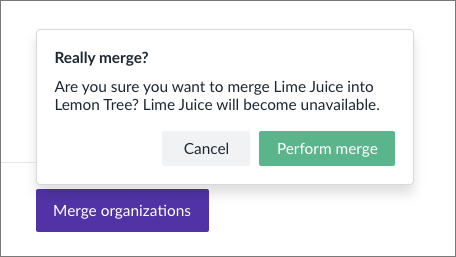 In this window, you can see a summary of project data after the merge, how many members you will be billed for and what integrations you may have to reconfigure. Please be aware that after the merge, the organization will become unavailable to you and all other members.